Locate the Ritz-Carlton Shuttle and asked to be dropped off at the Group Circle. From there you can walk directly onto the Ritz-Carlton deck and fire pits. 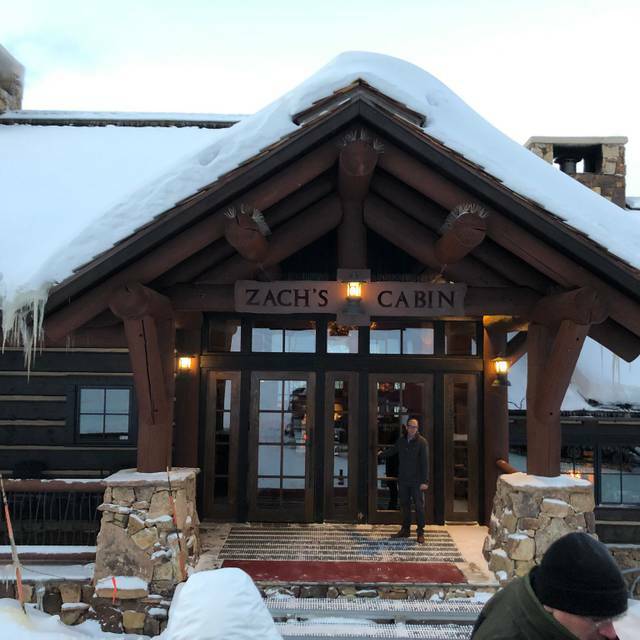 Enter the double doors and locate the Zach's Cabin Host desk for your sleigh ride check -in. Zach's is available to groups in the winter only from December to March. Suitable for weddings and/or receptions, corporate group dinners and family gatherings. For further information, please call 970-754-5762. After arriving to Zach’s Cabin on an open-air starlit sleigh ride, you are welcomed by our warm and friendly staff. 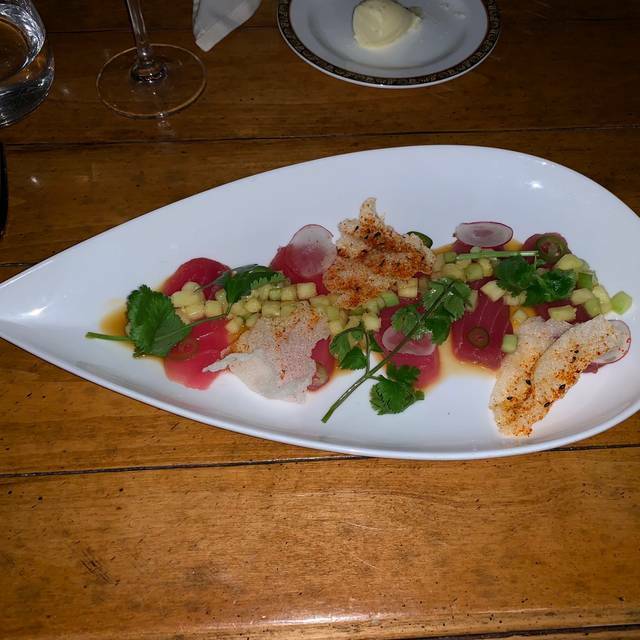 You will find many great selections of contemporary American Cuisine from Chef David Gutowski. Zach's Cabin has won Wine Spectators "Award of Excellence" for the last 13 years running and prides ourselves for World Class Service. Come up to Zach's Cabin and warm yourself at our fireplace and let us take care of the rest. Wonderful meal and amazing service to close out the season!!! Exquisite experience. It’s become a tradition, a very cherished tradition. The staff are amazing, the food is unmatched. Highly recommended! Always wonderful to start at the Ritz & end at Zach’s! 1st time we have dined there during Christmas holidays, so everything was much less crowded & rushed. A lovely evening! Advanced communication that we were unable to us the ritz prior to departure would have been appreciated. The full ritz buyout prevented us from that all important pre sleigh drink. The sleigh ride up to Zach's Cabin was really nice. It gave us the opportunity to take some incredible pictures. The ambience of the cabin was wonderful. The entire wait staff was attentive to our every need. The Sommelier at Zach's Cabin was very knowledgeable. 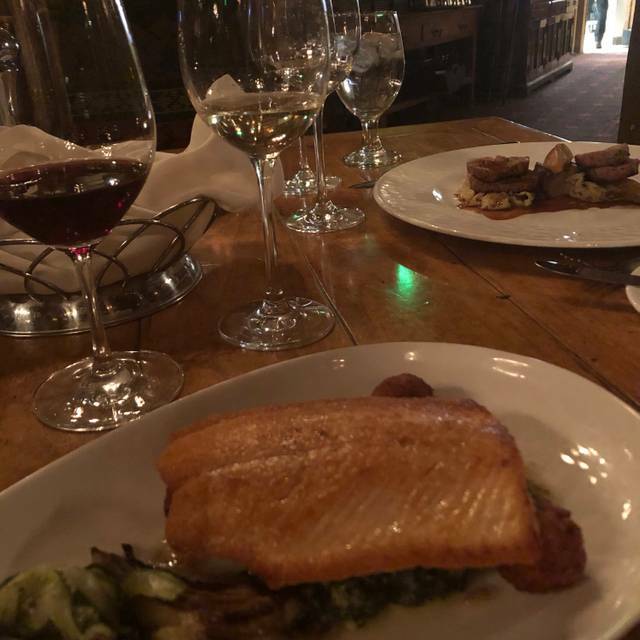 Even though I only wanted a glass of wine with my appetizer and then a totally different wine with my meal and he paired them beautifully; along with telling a story about each wine. The food was fabulous and the tenderloin melted in your mouth. The steak tartare, kale cesar salad and fried octopus were all delectable appetizers. I would definitely tell people to go, but expect to pay a higher price because of the ambience, food quality and the knowledgeable serving staff. We had a fantastic time!! Highly recommend the octopus to start, the short rib, beef tenderloin, and salmon (sold out of halibut). So delicious!! We had such a great time at Zach’s Cabin! We checked in at the Ritz Carlton (right when you enter the lobby) and had a drink at the bar before hand. Dinner was excellent and there were plenty of options in terms of wine (some affordable options as well, $50-$70 bottles). Every step of service from the snowcat driver, hostesses and waitress was so accommodating and nice. We all had the best time and would recommend to anyone. First time at Zach’s. Like it better than Beano’s or Game Creek Inn. All really great but liked the regular menu rather than prix fixe. Terrific wait staff and sommelier really nailed a great suggestion. Snowcat sleigh ride, ambiance and outstanding service on top of a terrific menu. Overall good experience but pay $20 to park at Ritz Carlton, then charged $5 per person for sleigh ride for good but expensive menu. Our server was Not attentive and very long pause between seating and ordering any drinks. Waiter was working alone - seemed most others had a back up waiter. 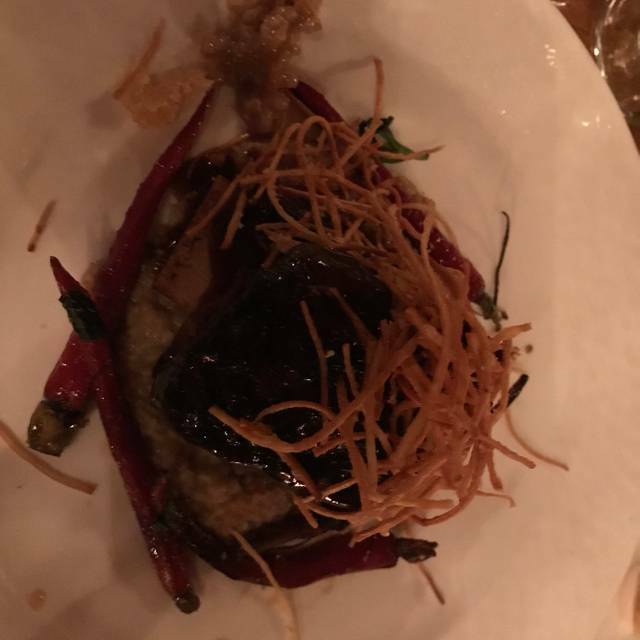 Food was excellent atmosphere was nice but service was not what was expected at this price point - I would not go back expect $100 a person with minimal drinks plus add ons. The food and views are the best! Try the bread pudding for desert. The transportation situation is terrible. We were stuck on the top of the mountain and had to wait 45 minutes before someone would come and start to take us down the mountain. Never go there again. Wonderful food and fun experience on the sleigh! Absolutely fantastic food. Beautiful environment. Great service. Excellent wine list. Helpful and grounded sommelier. We go back to Zach's any chance we get! We thoroughly enjoyed our evening at Zach's Cabin. From the pre-sled drink in the Bachelor's Lounge at the Ritz to the 10 minute sled ride up the mountain to the delicious appetizers, entrees and desserts, it exceeded our expectations and gave us wonderful memories! As a full time ski instructor at Beaver Creek, I've had the opportunity to try all of the cabins on the mountain. Out of all of them - year after year, Zach's is by far the best one to go to. The food is always outstanding, they have staff that come back year after year and the sleigh ride is always fun! Highly recommend the pork shank - it just falls right off the bone. I am also doing the Keto diet and they were more than happy to accomodate any dietary restriction. Instead of getting potatoes with my meal, they happily subbed broccolini instead. Yum! Some people say that it's "too expensive" however, the prices are similar to if you were to go out in Vail. Personally, I would rather go on a memorable snow cat ride and dine in a unique restaurant with incredible views for the same price! Check out Zach's, you won't regret it. It was a double birthday celebration for my husband and our friend from Milwaukee. As always, the food is amazing. Everything we’ve ordered here are so delectable. It’s always a pleasurable dining experience. And oh the birthday dessert was a delight! Zach’s will always be our favorite. The lighting at the entrance at the Ritz made it difficult at night to identify the turn leading into the property. We actually overshot it and then turned back. Information regarding the additional cost of parking at the Ritz were not disclosed upfront. Staff did not have accurate number of guest for the sleigh ride up the mountain and a group of 8 of us had to wait for another Cat and sleigh to accommodate us - need for improved communication systems! The natural setting and the guest services at the restaurant crated an impressive ambiance. Staff provided a high level of customer service. 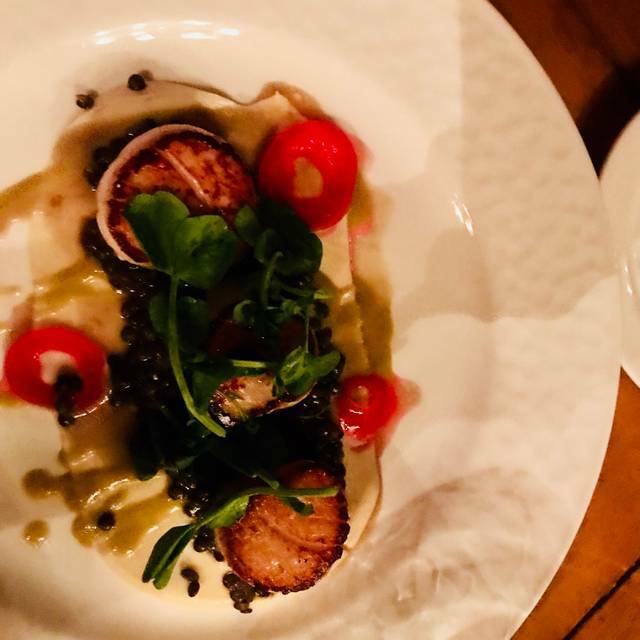 We were a party of 3 and ordered Octopus appetizer, Arctic Char, Scallops and Pasta: overall the portion sizes were small, with a lack of rice, potato or greens. 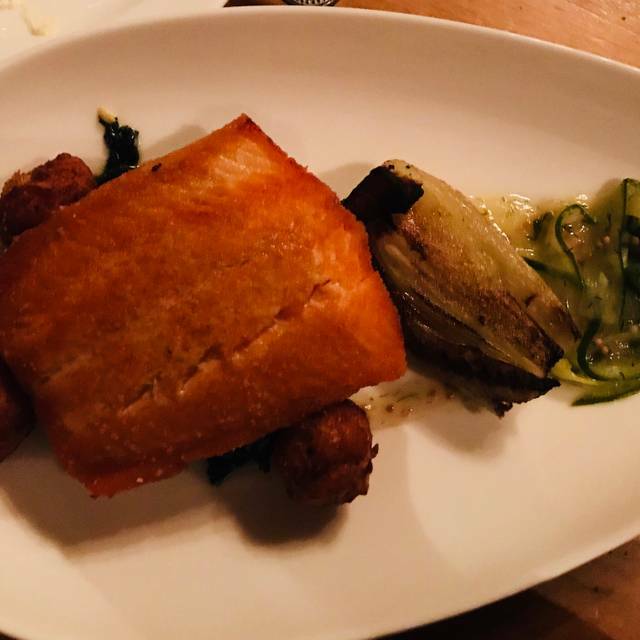 The Scallops were well prepared; the Arctic Char was dry and the Pasta was far past it’s prime from preparation to serving time - not a presentable dish for the price point in a fine dining restaurant. Go for the experience; not the food. 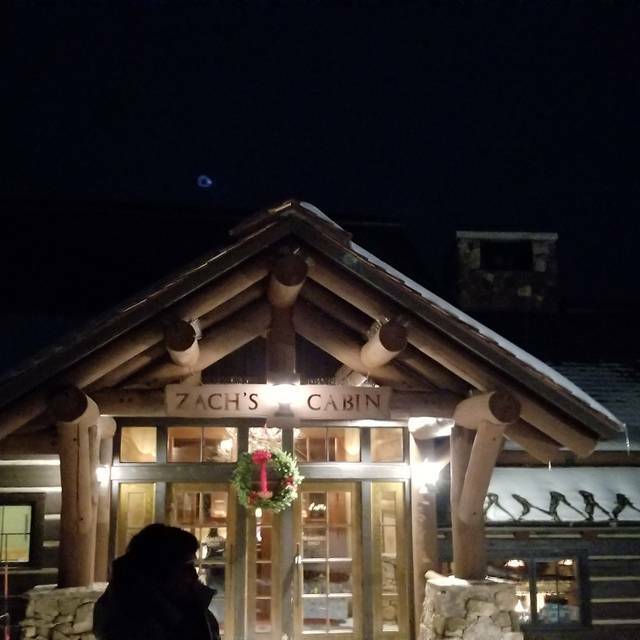 Everything about the dining experience at Zach’s Cabin was excellent and the food was a culinary masterpiece. Thank you! The food was excellent! The atmosphere is fantastic, but (like any restaurant) it all depends on the people eating at the restaurant - if there's a loud table, you can't really enjoy the ambiance. The sleigh ride is fun; however, please know: it's cold and breezy and you'll probably end up with snow flurries flying towards you from the snow cat kicking up snow, etc. Overall it was a good experience! The staff was excellent and fun! We felt no pressure to order things we didn't want to order. They also accommodated food allergies really well! Ride up a ski run in a sled pulled by a behind a groomer. Then a great meal, generous wine list. Highly recommend. We have been part time residents of Avon, Co for ~15 years and have been to Zach's Cabin many times in the past to bring visitors. The experience was always a treat but, sadly, the food and service was not! After our last visit there, two years ago, we decided not to go anymore. We felt the expense was not worth it. Well, we changed our minds again when we heard that they had a new chef - and we are very happy the we did. The quality of the food was excellent! We were a party of 9 so we had several different starters and entries and everything was amazing (including but not limited to the squash soup, salads, beef tenderloin, pork, fish, and short ribs). The desserts were a little underwhelming. They were good but not that rich decadent treat one likes after a meal. The service was better except for a few slip ups - we received someone elses starters which only served 1/2 of our table so we waited for the rest of our order which didn't show up. We had to ask our server what was going on and he explained that we were given a different tables starters which were the same as ours but there were only 6 at their table. Also, when our main courses were delivered, again, half of the table received their meal and the other half sat waiting for the rest of the group to be served. The flavors were wonderful but several of us had food that was only barely warm not hot despite my plate being hot. A nice trick to try but didn't cut it. Water and wine glasses were filled, cocktails took a long time to receive. Zach's Cabin had definitely improved greatly and the ride up in the open air snowcat/sleigh is always fun. It's too bad that the guide that rides up on the sleigh doesn't give a bit of Bachelors Gulch history like they used to do. My husband and I enjoyed the snowcat ride up and down the mountain. It fortunately wasn’t too cold. I had one of the best cocktails ever... Lily was our server. She was very attentive and polite. Food was excellent. Wine suggestion by the sommelier with my duck was a hit! The dining room was beautiful and romantic. I would suggest more dessert options. Otherwise, this dining experience is a must! What a wonderful find. Such an exclusive feel. Will definitely return next time we are in town. A wonderful experience from the musician in the lounge at the base to the sleigh ride up and down the mountain to the cabin to the food. The wine list was amazing and it was very interesting to talk to the sommelier. This place was awesome! The food was amazing , the waitress was great, the management was very nice, the ride to the top in sled was beautiful!!! Our evening at Zach’s Cabin was amazing the service is top notch. The food was 5 Star plus the setting is warm, inviting and beautiful. It is truly as “do not miss” experience. The man on the sleigh, every host, and every server were fantastic! The mushroom dish could not have been tastier! Wonderful dinner and experience Our new favorite on mountain dining spot! The sleigh ride was fun- our hostess on the sleigh was very very friendly and accommodating. We were seated at a nice table and our server, Tom was very nice. The butternut squash soup was delicious As was my companions vegetable salad.. she ordered the scallops which were good. I ordered the short ribs and after working the meat off the large bone on the plate discovered that most of the meat was extremely fatty. I left most of the meat uneaten due to the fat content. The most disappointing item were the roasted carrots- they were so hot with Jalapeño taste that I could not eat them. In retrospect, I should have sent the meal back to the kitchen for the price but did not want to disrupt my companions meal. The focaccia bread was very good altho as someone else said- not much of it offered. The service was brisk as they were busy and we were the first seating. I would select another restaurant next time I visit. Fabulous sleigh ride up & down the mountain to a warm & welcoming atmosphere . Excellent food, service, & a memorable evening with my husband! For a REAL Colorado experience, go to Zach’s Cabin! !